Lima Group: Committed to Democratic Principles? The “Lima Group” – an informal alliance of 12 Latin American countries created to observe the sensitive situation in Venezuela – has shown that its defense of democracy in the hemisphere is inconsistent. 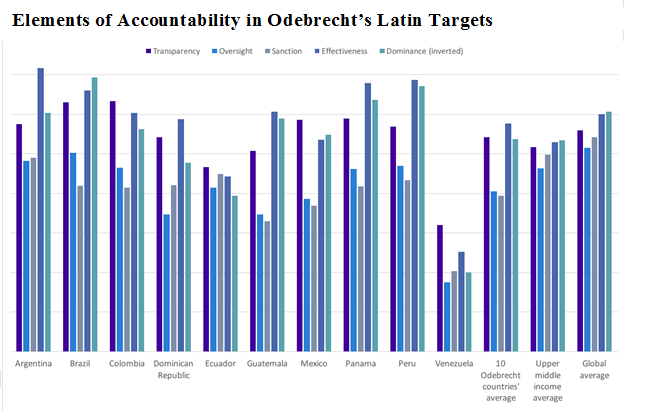 Argentina, Brazil, Canada, Chile, Colombia, Costa Rica, Guatemala, Honduras, Mexico, Panama, Paraguay, and Peru have on at least a handful of occasions condemned Venezuelan President Nicolás Maduro for stoking political violence, holding political prisoners, committing electoral fraud, and engaging in other abuses, justifying their positions as based on ethics, morals, and good practices. The reactions of the Lima Group and its leading members to the situation in Honduras since that country’s presidential election in November, however, suggests that the values they espouse do not have universal application. After OAS Secretary General Luis Almagro declared that the election lacked credibility and called for new elections, some countries’ pro-democracy fervor faded. The discrepancies between the group’s rhetoric and actions appear to be rooted in various reasons. Political alignments take precedence over values. Honduran President Hernández has been active in the group’s (and indirectly the OAS’) efforts on Venezuela. Honduras is a member of the Lima Group, and Hernández is perceived by conservative governments as an ally to contain the spread of the left. The risk of massive Venezuelan population displacement, with profound potential consequences for neighboring countries, contrasts with the situation in Honduras. With the region entering a new election cycle, moreover, incumbents’ lack of support for Almagro’s position signals that they do not want the OAS messing around in their own electoral processes. These governments also see Hernández as a strategic United States ally in Central America in combating drug trafficking, transnational criminal networks, money laundering, and irregular migration. Many of the governments may also refrain from criticizing the belief that Tegucigalpa benefits from the presence of 1 million Hondurans in the United States (more than half of whom the State Department says “are believed to be undocumented”). In addition, Honduras was one of the eight countries that supported President Donald Trump’s rejection of the UN General Assembly Resolution asking nations not to locate diplomatic missions in Jerusalem. The crises in Venezuela and Honduras are indeed different, and the international community’s interests in them are naturally different. Maduro’s and Hernández’s failings affect other countries’ political and economic equities in different ways. Maduro’s undemocratic actions increase unpredictability in the management of oil and other sectors of foreign interest, whereas Hernández’s represent predictability, if not stability, in areas that Washington cares about and Buenos Aires, Brasilia, and the rest of Latin America do not. But the high-sounding values at stake – democracy, institutionality, and rule of law – are the same in both countries. While Venezuela’s population is three times the size of Honduras’ and its political crisis arguably three times more advanced, the moral responsibility – and moral authority – of the Lima Group or its member nations is many times greater in a small, vulnerable, poor country like Honduras. Security forces have gunned down some three dozen oppositionists and protestors since the November election, and allegations of human rights violations have soared, but Latin America’s major democracies have been silent. The failure to support the OAS’ call for new elections was not just a stab in the back of Secretary General Almagro; it revealed that their rhetoric about the OAS Democracy Charter – embodiment of democratic values they demand be respected in Venezuela – are not as universal as they say. When the Lima Group last Tuesday (with considerable justification) rejected the Venezuelan National Assembly’s call for an early presidential election, the Hernández government’s signature was there alongside the others. If universal democratic values and principles are not for universal application – if even an informal grouping will not criticize a small actor with whom they do not have major equities at stake – their value is much diminished. Venezuela: Can Trump’s Coercive Diplomacy Help? U.S. President Trump’s new rhetorical attacks and financial sanctions against the Venezuelan government suggest a shift toward coercive diplomacy aimed at achieving regime change, but U.S. power faces significant limits in the conflict-ridden country. At the UN General Assembly on Tuesday, Trump called President Maduro an authoritarian and said “this situation is completely unacceptable and we cannot stand by and watch.” Washington’s approach emphasizes sticks – sanctions against President Maduro, senior advisors, and threatened action against the oil sector – over carrots, while also voicing support for the opening of new mediated face-to-face talks between Maduro and the opposition. A contact group of six Latin American and four European countries is promoting the talks, with the backing of UN Secretary General and the Vatican, to help avoid the worst-case scenario of open conflict. Previous efforts to coordinate a multilateral coalition that simultaneously keeps the pressure on the government while opening negotiation avenues have failed – and agreeing on a roadmap is even more complex in view of the installation of the Constituent Assembly that stripped the elected, opposition-controlled National Assembly of its powers. Trump’s new Executive Order directs financial sanctions that come close to directly threatening Maduro’s vital supports. It bans Caracas from issuing new debt in the United States and prohibits U.S.-based CITGO – a wholly owned subsidiary of the Venezuelan state oil company – from repatriating dividends to Caracas. These measures will impose austerity on Maduro (who claims he will still make upcoming debt payments) and future actions are likely to try and undermine the government’s economic foundations. In addition to installing the Constituent Assembly, Maduro seems to be pursuing a new regime-survival strategy in which he plays the role of a non-vengeful victim. Maduro criticized Trump’s sanctions and called him “the new Hitler” after the UN speech on Tuesday, but he’s also offered donations to aid post-Harvey recovery efforts in Houston and invoked John Lennon in a call for “giving peace a chance” in a New York Times ad earlier this month. To regain a degree of credibility, Maduro will probably consider making elections for Governors slated for October 15 look competitive, but whether he has the political capital with his base to make bigger political or economic moves is unclear. He may look to establish a new institutional equilibrium of dual legislatures, though it would hinge on removing the threat of retaliation against the opposition via the Constituent Assembly’s so-called “Truth Commission.” He may also try to address massive fiscal imbalances by reforming the multi-tiered exchange rate, though this would be difficult as the system’s subsidized dollars help underwrite regime loyalty. While the United States, Europeans, and Latin Americans are operating in loose formation – with Washington ratcheting up pressure while everyone else scrambles for negotiations – China and Russia are sticking to their strategic game. As Maduro’s main financial backers, they are betting talks can stabilize the situation bit by bit. They may kick in some more financial assistance if and when Maduro restores some stability by holding peaceful regional elections, delivering on the dialogue, and making large upcoming debt payments. But while there is some basis for the geopolitical schadenfreude of Beijing and Moscow making it harder for Washington in Caracas, there are also signs that both have buyer’s remorse. While they prefer Maduro stay afloat, they seem unlikely to extend loans that help stabilize the economy unconditionally. None of the piecemeal actions that Maduro is apparently contemplating can defuse the political and social crisis, but a combination of steps may be enough to convince China and Russia to stay in the game. Despite Trump’s statement that he was “not going to rule out a military option” in Venezuela, the Administration apparently is open to a policy of coercive diplomacy that includes genuine support for talks. Trump attacked his predecessor for “leading from behind,” but figuring out how to sequence sticks and carrots in coordination with Latin American and European countries may require just that. The bottom line is that the chance of a breakthrough on the biggest issues – the Constitutional road map and conditions for electoral participation – remain low, although some movement by both parties toward the middle seems realistic. Despite the actions of outside actors, the situation is likely to remain poised over a knife-edge – without the catharsis of either peace or regime change. To admit his lack of authority – and thereby signal to the world that the organization’s commitments, such as the Democratic Charter, are not credible. In the international system, there are plenty such non-credible and non-enforceable commitments, ranging from the EU Treaty (Article 7) to the Kyoto Protocol. To use his limited powers to persuade member states from within – persuading national representatives to take action. This approach risks to be perceived from outside as inaction. If persuasion succeeds and member states decide to enforce their commitments, the credit will most likely go to the member state playing the role of leader, and not to the institution. Faced with Venezuelan President Maduro’s rejection of the OAS’s good offices and with member states’ preference to assign diplomatic leadership to UNASUR (over which Maduro had influence), Almagro chose a third way: to drive OAS internal processes by pressing member states from outside via international public mobilization. Through a series of actions in his own name – issuing reports, statements, and posts on social networks – Almagro called the attention of the international community and media to the OAS’s naming and shaming of Venezuela. By doing so, he indirectly raised the cost of inaction of member states reluctant to take a strong stand. Maduro’s increasingly undemocratic behavior, and the election of new governments in some key states, particularly Argentina and the United States, improved the odds of success. Indeed, the OAS gave the Venezuela crisis unprecedented salience, and on April 3 the Permanent Council passed a resolution (approved by consensus but with only 17 states in the room) that, for the first time in OAS history, demonstrated that a democratically elected government could be condemned because of “unconstitutional alterations of the constitutional order.” A core group of 14 countries – representing more than 90 percent of the hemisphere’s population – coalesced to back up the activist Secretary General. Secretary General Almagro’s “third way” approach was risky, made under the assumption that the two traditional options would fail. Reasonable observers can second-guess him, but there is little evidence that either of the other options would have fared any better. The crisis in Venezuela is a hard case for the Inter-American Democratic Charter, and the OAS’s strict intergovernmentalism militates against decisive action. Almagro’s public relations pressure from outside arguably worked with the larger states, but alienated the smaller. A more cautious approach (as I argued here) perhaps would have helped to bring CARICOM states on board. For now, what is clear is that the OAS will not play a major role in managing Venezuela’s democracy crisis – unless the already severe situation in the country shakes even the OAS fence sitters. A pending question is whether the OAS might succeed in inventing a role for itself in post-crisis Venezuela. Venezuela: Stalemate in a War of Attrition? The pace of provocation and counter-provocation in Venezuela has reached a new high, and there does not seem to be a stabilizing force that can induce a de-escalation. It’s unclear if the country’s power struggle is experiencing a new cycle in its multi-year confrontation, or if two months of protests mark the start of a downward spiral that will plunge the country into even deeper crisis. Neither the government nor opposition appears near the point of exhaustion that would make efforts at a meaningful negotiated settlement fruitful. An examination of their agendas, moreover, paints a picture of an intractable conflict. President Nicolás Maduro is in raw survival mode – perhaps driven by fear of disgrace as the man who lost the Chávez legacy entrusted to him – and is forcing a rewrite of the Constitution as he lurches toward outright dictatorship. He deeply resents that the opposition never acknowledged the legitimacy of his election, and he was shaken when jeered and egged at a public rally recently. He has condoned violence by his party’s vigilantes and the Guardia Nacional, but almost certainly grasps its political cost, including within the government and military. Faced with the certain prospect of persecution by an opposition-dominated government, he probably sees no incentive to negotiate his denouement. The opposition remains heterogeneous and is united almost exclusively in the fervent belief that Maduro – through evil and incompetence – is destroying the country. Government repression and their own self-inflicted wounds have precluded development of a sophisticated strategic planning capacity. Although opponents’ preferred option is to remove Maduro at the ballot box, some also apparently believe that ratcheting up the violence will force the military – reluctant to intervene – to lean on Maduro to depart. The senior ranks of the military, compromised by corruption and narco-trafficking during the Chávez-Maduro era, show no signs of wavering, but discontent among field-grade officers at the Regional Commands – who will have to serve under a successor government – may become palpable during the military promotion season that formally concludes July 5. As the Guardia Nacional soils its reputation, the military wants to stay off the streets as long as possible. There’s no evidence of sympathy with the opposition; their primary concern is avoiding being part of the bloodshed. How the military would orchestrate a post-Maduro era is unknowable. The country’s economic and financial crises have devastated oil production, making it impossible for Maduro to pump his way out of the crisis and increasing his reliance on foreign capital. Indebting itself further at an extremely high cost, the government bought some time by selling $2.8 billion in bonds to Goldman Sachs – through a counterparty – for $865 million in cash. The sectores populares are highly agitated but lack leadership. The working class has largely fallen into poverty, now estimated at 80 percent nationally, and neighborhoods previously home to chavismo’s base have shown tolerance for the opposition and outright disdain for the ruling coalition, including knocking down statues of Hugo Chávez. Neither the government nor opposition has yet shown concern that its resources and energy are nearing exhaustion – and the military, so far, is not prepared to tell one or the other to give up the struggle. As long as both sides think that they can break the other, moreover, the prospects for either regime collapse or a mediated settlement seem unlikely, and it is hard to imagine the emergence of a stabilizing force that can mitigate conflict. External forces may try to facilitate a resolution but are unlikely to succeed. Brazil’s corruption scandals have removed it as a player; UNASUR’s failures have rendered it irrelevant; and Maduro preempted any final OAS censuring by announcing withdrawal from the organization (though his foreign minister will attend its General Assembly this month). Washington continues to rely on sanctions – most recently freezing the assets of eight members of Venezuela’s Supreme Court – but seems reluctant to get more deeply involved, and given the turmoil that characterizes the Trump administration, it may in any event be incapable of doing so. Absent the emergence of a viable formula within Venezuela to overcome the costly stalemate, the war of attrition between regime and opposition will likely continue without meaningful involvement of external actors. * Michael McCarthy is a Research Fellow with the Center for Latin American & Latino Studies. He is International Associate for Venebarómetro polling and publishes Caracas Wire, a newsletter on Venezuela and South America. Venezuelan President Nicolás Maduro seems determined to validate critics’ claims that the separation of powers in Venezuela has been breached, thereby strengthening diplomatic efforts to force him to reverse course. After the OAS Permanent Council met for two days to discuss Secretary General Almagro’s call for Caracas’ suspension, Venezuelan courts on March 29 authorized the Tribunal Supremo de Justicia (TSJ) to take over the functions of the National Assembly, and to limit the immunity of the members of the parliament. The action reinvigorated an exhausted domestic opposition and further infuriated international observers. Two days later, the TSJ overturned the two rulings after Maduro, casting himself as a mediator between competing constitutional powers, requested it. These erratic actions signaled the worsening erosion of the rule of law as well as the divisions in the government and the Bolivarian movement. The reversal did not take the edge off OAS General Secretary Almagro’s and others’ condemnation of the power grab as an autogolpe or “self-coup.” The Inter-American Democratic Charter was designed in 2001 precisely to provide the OAS with instruments to deter self-coups in the aftermath of those carried out by Alberto Fujimori (Peru) and Jorge Serrano (Guatemala) in the 1990s. The TSJ decisions and Venezuela’s defiance didn’t put Almagro’s suspension efforts over the top, but the Permanent Council is now much more actively involved in the crisis. Venezuela has isolated itself within the Permanent Council. Speaking at the Council, its delegation severely criticized individual member states the day before the TSJ decisions. Chile and Peru recalled their ambassadors for consultation after it. Ecuador, an ally since the time of Hugo Chávez, distanced itself from Maduro. On April 1, MERCOSUR invoked the Protocol of Ushuaia – the group’s democracy clause – against Venezuela, and it joined Colombia and Chile in a forceful public statement on behalf of UNASUR. Mexico, historically a jealous guardian of the principle of non-intervention, has assumed the leadership in holding Venezuela accountable for its undemocratic practices. As a result, the Permanent Council on April 3 approved a resolution condemning the TSJ decisions and committing to “undertake as necessary further diplomatic initiatives to foster the restoration of the democratic institutional system,” including convening a ministerial meeting. Building a consensus for tougher action in the Permanent Council will be difficult, however. Last week’s resolution was approved by 19 member states, but four abstained and 10 were absent. Any proposal to suspend Venezuela will require two-thirds of the members’ affirmative votes. Although there is still a long way to go to make the OAS part of the solution of the Venezuelan crisis, the General Secretary’s activism has set an important precedent in rallying a majority of states in the Americas to come together to discuss a member’s erosion of democratic principles and institutions – and to condemn the non-democratic actions of a democratically-elected government. This is a first for the organization, and it is a big step toward fulfilling the original purpose of the drafters of the Inter-American Democratic Charter. * Stefano Palestini Céspedes is a CLALS Fellow and Postdoctoral Fellow at the Department of Political and Social Sciences at the Freie Universität Berlin, where he specializes in international organizations and regional governance. The report concludes with an ultimatum: If the government does not call for general elections, release all political prisoners, restore all laws it has annulled, and select a new electoral authority and a supreme tribunal in the next 30 days, Venezuela should be suspended from the OAS. Few observers believe Maduro could meet these conditions even if he wanted. Almagro’s actions, including his forceful call for application of Article 21 of the Charter – the “democracy clause” – moves his office and the OAS into uncharted territory as it would be the first time it is applied against an elected government. Article 21 was applied against the government in Honduras that came to power in a coup in June 2009, but the sanctions were initiated at the request of ousted President Zelaya and strongly supported by Latin American governments – including Hugo Chávez – and Washington. To enforce Article 21 against an incumbent government, a strong consensus needs to be built. The Secretary General’s showdown with President Maduro presents a test for the Charter and, ultimately, for the OAS, as it pushes the organization beyond its traditional institutional limits. Any decision on suspension must be approved by a two-thirds majority of member states, whose delegates represent executive branches that traditionally have shied from intervening in each other’s affairs. Some insiders also grumble that the Secretary General has fallen short in his consultation with the member states; instead he seems to take a partisan position such as by inviting Maduro’s opposition to OAS headquarters this week for a press conference. If the members back Almagro’s call for suspension, he will have demonstrated that principled arguments can break even strong institutional barriers – moving OAS into a new phase. In that case, the Secretary General together with the member states will need to come up with a post-suspension plan; only then will OAS become part of the solution to Venezuela’s crisis. If member states do not support the Secretary General’s call, Almagro will be respected as a leader moved by convictions, but the OAS will probably move one step down towards irrelevance. * Stefano Palestini Céspedes is CLALS Fellow and Postdoctoral Fellow at the Department of Political and Social Sciences at the Freie Universität Berlin, where he specializes in international organizations and regional governance.